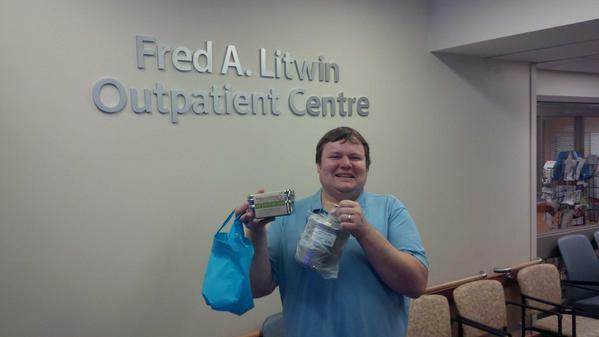 Let us also congratulate David Hewitt, lucky winner of the #WasteFreeUHN contest. Though the winner was chosen randomly, he had several great ideas to follow, like reusing GOOS paper (Good On One Side), and making notepads out of non-confidential paper. Brent in TGH Facilities also reuses GOOS paper from their many daily printed work orders. The facilities team puts it white-side-up in one of their printers so it can be used for something else. Amelie in research does the same thing, all non-confidential of course. Rita rescues the GOOS for her kids to draw on. LitterLess Lunch (henceforth known as LLL or L3) was such a big theme. So many sang the praises of their beloved (reusable) containers, I couldn’t possibly name you all, though here’s a nice sampling. Thanks for going LLL, Ana, Andria Betty, Dhara, Elena, Farida, Fiorella, Lillian, Madeleine, Marie, Rita, Sarah, Suly, Tammy! Chad brought up the idea of a reusable food container program for food courts. That’s a lot to chew on, and a great idea. Speaking of chewing, remember there are ingenious ways to recycle, including Halloween candy. Happy Halloween, happy extra hour of weekend, and happy #WasteFreeUHN. 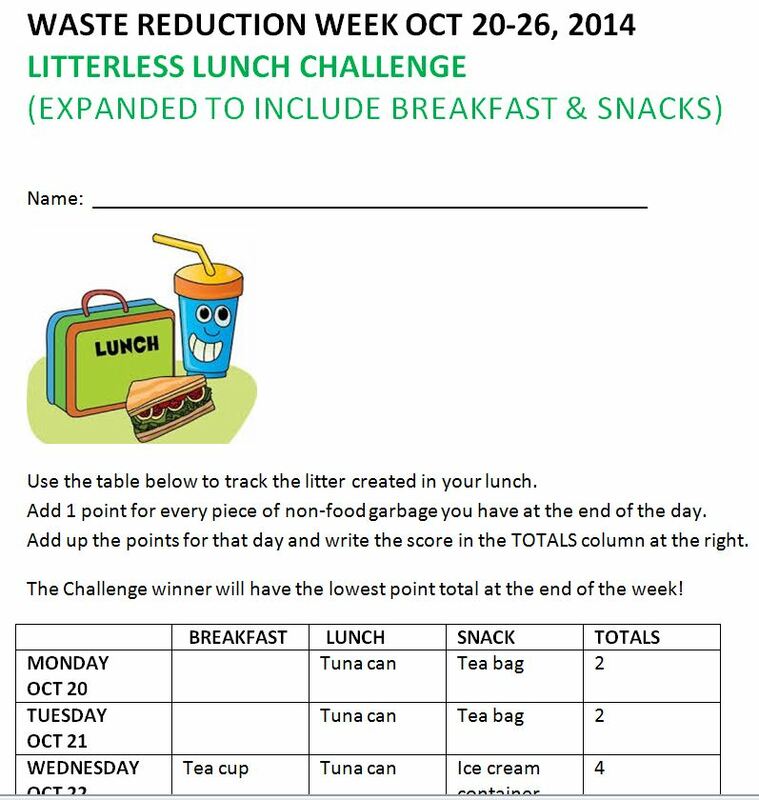 This entry was posted in Beyond Talkin' Trash, Events and tagged #WasteFreeUHN, GOOS paper, green team, recycling, waste reduction week. Bookmark the permalink.